WATCH. History of the modern wrist watch. By Pieter Doensen. WATCH. History of the modern wrist watch. "WATCH" is an important book which covers the technical and historical development of the modern wrist watch. In its 256 pages, "WATCH" includes 650 full colour illustrations photographed by the famous Dutch photographer Erik Hesmerg. "WATCH" will be the first published and internationally released work of reference on this topic. 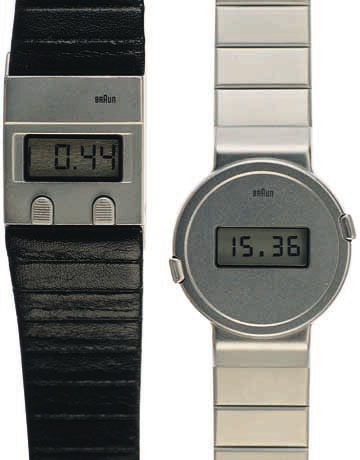 "WATCH" is divided in two sections. Firstly an historic overview of the evolution of the modern wristwatch between the years 1950 - 1994 is given. The text systematically and alphabetically deals with a number of artists who designed watches many years before the introduction of the highly succesful Swatch watch. An illustrated overview of these watches together with a short biography of the "designer artists" is also included. The second section of the book places the development of the electric and electronic wrist watch in historical perspective. These are described in chronological order from the first battery powered watch with a balance wheel with mechanical contacts, through the development of the tuning fork watch, transistorised watches with a balance wheel and finally quartz watches. Technical developments are explained in a short and straightforward manner, supported by clear illustrations. The significance of this survey may be underlined by the fact that approximately one billion watches are sold every year, of these, 85% are battery powered. Many of these watches were far ahead of their time. Unfortunately, despite of their beautiful designs, many never achieved larges sales due to the comparatively small numbers produced. 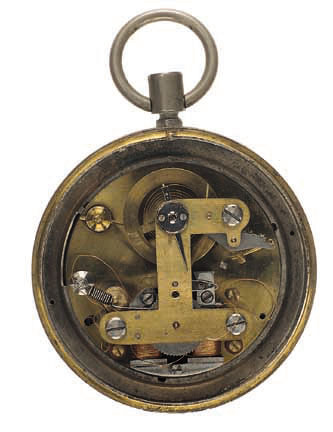 "WATCH" is the first book to fully record the evolution of the modern watch. It will be a reference book for those with interests in modern designs and technical achievements. The author spent fifteen years in accumulating the information included in this book. He visited not only the centers of the watch industry to study their archives but also factories, museums, watch collectors, artists and designers; original data was obtained from many of the latter. Important institutions, including the "Goud Zilver and Klokken Museum" of Schoonhoven, the Netherlands, the Horological Museum of La Chaux-de-Fonds, Switzerland, and the Museum of the Japanese Seiko Corporation have enthusiastically contributed to this book by offering original material for publication. Other museums, institutions, many manufacturers, designers and collectors of watches have assisted in contributing to the wealth of information contained in this book. The first edition contains 6,000 books. The dimensions are 24cm x 30cm. The designer is Gertjan Slagter from Groningen. The book has a paper board with jacket. If you wish to buy a book, you may contact the author at the adress below. If you want to write a review on "WATCH" in a periodical, additional information and illustrative material is available. No duty will be required. Since collectables need collectors and collectors need reference works, Pieter Doensen has taken up the challenge to provide them with the first comprehensive study of the "collectable modern wrist watch".